Today’s NY Times presents in brief the findings of Refugee Roulette, an article forthcoming in the Stanford Law Review that I co-authored with Philip Schrag and Andrew Schoenholtz (full study available here). Our empirical study found disturbing disparities in decision-making in all four levels of the asylum process in the United States. Not only were there dramatic differences in grant rates to asylum seekers from the same country between offices and courts in different parts of the country, but we found vast disparities in grant rates within offices and courts. In other words, judges sitting on the same court during the same time frame granted asylum cases from the same country at wildly varying rates -- for example, taking only Albanian asylum claims in the New York Immigration Court, one judge granted 5% of these cases, while another granted 96%. There were similar disparities in grant rates between and within asylum offices, and great variability in the federal courts of appeals, with the 7th Circuit remanding 36% of the asylum decisions before it and the 4th Circuit remanding less than 2% of its asylum cases in the time period studied. It appears from our study that the outcome of asylum cases may depend to a great extent on the personality, background, and prior experience of the adjudicator, rather than on the merits of the claim. To test this hunch, we correlated immigration judges' biographical information with grant rates. Perhaps the most interesting finding was that the gender of the judge appeared to be an important factor, with male judges granting asylum at a rate of 37.3% and female judges at 53.8%, a 44% higher rate. While we present various theories of gender and judging in our paper, I'm interested in hearing your thoughts on why this might be the case! ... 1933, Madeleine Bordallo, a Democrat, who serves as Guam’s delegate to the U.S. House of Representatives, was born in Graceville, Minnesota. ... 1969, "[s]ometime between eight at night and three the next morning," n ewlyweds Yoko Ono and John Lennon, "along side a roomful of people including Timothy Leary, Toronto Rabbi Abraham Feinberg, musician Petula Clark, and members of the Canadian Radha Krishna Temple," recorded "Give Peace a Chance," an instant favorite of anti-Vietnam War protesters. The session (right) brought to an end their 8-day bed-in at Montréal's Queen Elizabeth Hotel, footage of which is available here. ... 1973, in action that bears special relevance in light of current congressional debate on constraining U.S. President George W. Bush's conduct of the Iraq War, by amendment to a defense appropriations bill, the Senate defied President Richard M. Nixon and voted to stop funding U.S. bombing of Cambodia, which had begun secretly 3 years earlier. The vote followed similar House of Representatives action earlier in the month. Nixon acceded to pressure and stopped the bombing 3 months later. The approach of the 2008 Beijing Olympics is giving China increased international attention -- some of which Chinese leaders no doubt would be happy to do without. With Mia Farrow in the lead, some celebrities advocate boycotting what they've begun to call the "Genocide Olympics" unless China urges Sudan, its trading partner, to stop the violence in Darfur and let U.N. peacekeepers in. When Steven Spielberg, artistic director for the '08 games, expressed concern, China appointed a special envoy to the region. Members of Congress have joined in, proposing resolutions to pressure China on Darfur. "'With the Olympics coming, China is now in the international spotlight," U.S. Rep. Barbara Lee (D-Calif.) noted, then declared that it's time for "'China, finally, to join the world community and acknowledge that genocide is taking place.'" China's new Foreign Minister, Yang Jiechi, lashed back: "'There is a handful of people who are trying to politicize the Olympic Games. This is against the spirit of the Games. It also runs counter to the aspirations of all the people in the world, and so their aims will never be achieved.'" Yang thus endeavored to disregard decades of politicization of the Olympics. The 1992 Barcelona games were the 1st in modern history that no country boycotted for some political reason. Among the political disputes that has played out in Olympic arenas -- and continues to do so -- is China's chronic tiff with Taiwan. Still, Yang's response to Darfur-related pressure counsels care in playing the Olympics card. Is a boycott in fact possible, and if not, is threatening it a good idea? The complexity of China's relationship to Sudan and Darfur -- and to the rest of the world -- was evident yesterday: U.S. Ambassador John Negroponte, on "The News Hour" to promote the U.S. increase in sanctions agains t Sudan, took pains to state that although Chinese leaders do not support sanctions, "they appreciate the importance of this situation and they, along with us, have worked hard to impress upon the government of Sudan the importance of Sudan accommodating the wishes and demands of the international community in regard to Darfur." In any event, is Darfur the best reason to play the card? Surely it is not the only one. Last month Amnesty International asked the International Olympic Committee to pressure China on account of repression within China itself -- a concern that's particularly noteworthy today, just 5 days short of the 18th anniversary of the Tiananmen killings. Of additional concern ought to be China's newfound penchant for giving foreign aid with no human rights strings attached. To the extent that it displaces the tradition of conditional aid, China's new policy of unfettered assistance promises to undermine a key means by which donor states from regions like North America and the European Union have prodded beneficiary states to treat their children -- and their women and men -- well. (W rite On! is an occasional item on notable calls for papers.) The National Security Law section of the Association of American Law Schools is seeking "essays and article-length papers" discussing "the general theme of the military's domestic role." Section chair Robert M. Chesney notes within that topic that are "a range of issues"; examples include detention, emergency response, surveillance, posse comitatus, homeland defense, and civilian-military relations. The winner of the call will present at a panel at the AALS' annual meeting next January in New York and will be published in the National Security Law Report and in the Journal of National Security Law & Policy. Deadline is August 15; details are here. ... 1431, Jeanne d'Arc (right), the teenaged warrior who 2 years earlier had led French troops to victory over the English at the battle of Orléans, was burned at the stake in Rouen. A pro-English ecclesiastical court, in a trial in which "[m]uch was made of her insistence on wearing men's clothing," had convicted her of witchcraft and heresy following a 14-month interrogation. Nearly a half-century later the Roman Catholic Church made the young woman, also known as Joan of Arc, a saint. ... 1847, Alice Stopford Green, an historian and supporter of Irish independence who would be elected 3 times to Ireland's Seanad, or Senate, was born Alice Sophia Amelia Stopford in Kells, County Meath, Ireland. A tip of the diplomat's silk hat to any and all responsible for getting the United States and Iran to sit down and talk yesterday. It was the 1st formal session between the 2 since 1979, the year that the Ayatollah Ruhollah Khomeini led an Islamic revolution marked by the ouster of Iran's Shah, invasion of the U.S. Embassy in Tehran, and seizure of 52 Americans who were held hostage for more than a year. Ryan Crocker, U.S. Ambassador to Iraq, reported that he met with Hassan Kazemi Qomi, his Iranian counterpart, for about 4 hours in Baghdad, in a "businesslike" discussion of the security situation in Iraq. "We're taking this step by step," Crocker told reporters, adding that "the point of these discussions is not about U.S.-Iranian relations. It's about what can make things better in Iraq." One hesitates to overstate the significance of this small rapprochement. Its scope was circumscribed, and there are many points of contention between the countries, among them Iran's nuclear program and its detention of scholar Halef Esfandiari and 2 other Iranian-Americans on charges of espionage. Still, yesterday's supplanting of what at times has seemed media grandstanding with serious, civil, face-to-face dialogue can only be a good thing. Iraq Body Count reports that as of Monday between 64,405 and 70,552 Iraqis, women, children, and men, had died in the conflict -- an increase of 795 to 894 deaths in 2 weeks. American servicemember fatalities: 3,455 persons. Total coalition fatalities: 3,731 persons. (That's 56 servicemember deaths in 2 weeks, all but 2 of them Americans.) The stated number of U.S. wounded remained, implausibly, where it has been for well over a month, at 24,314 persons. Military casualties in the conflict in Afghanistan stand at 390 Americans and 194 other coalition servicemembers, an increase of 1 and 8, respectively, in the last 2 weeks. ... 1913, the début performance of "The Rite of Spring" ballet set off a near-riot in Paris. Audience members were shocked by "outrageous costumes," the "unusual choreography" of Vaslav Nijinsky, and the "musical innovations" of composer Igor Stravinsky. For all these reasons, this work remains an international favorite. ... 2007 (today), is the International Day of United Nations Peacekeepers, by 2002 declaration of the U.N. General Assembly. 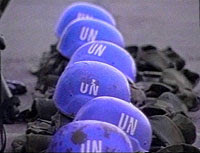 Founded in 1948, the "Blue Helmets," as they are known, were awarded the 1988 Nobel Peace Prize for contributing, "under extremely difficult conditions, contributed to reducing tensions where an armistice has been negotiated but a peace treaty has yet to be established," and so "represent[ing] the manifest will of the community of nations to achieve peace through negotiations ...."
According to this Herald Tribune report, dressing for success means wearing the hijab in Algeria, where women are making economic and political gains unknown elsewhere in the Arab world. The raw numbers indeed impress: “Women make up 70 percent of Algeria's lawyers and 60 percent of its judges. Women dominate medicine. Increasingly, women contribute more to household income than men. Sixty percent of university students are women, university researchers say.” Women are even “starting to drive buses and taxicabs, pump gas and wait on tables.” Nonetheless, these women represent only 20% of the work force (though that “is more than twice their share a generation ago”). And even though men still control the political power, as women move into state positions some see a trend that may result in their control of public administration. While these changes seem surprising at first glance, a closer look shows that they were not entirely unforeseeable: “University studies are no longer viewed as a credible route toward a career or economic well-being, so men may well opt out and try to find work or to simply leave the country,” thus leaving the path open to women. Significantly then, this “quiet revolution”, as the IHT bills it, does not seem to have required any noisy agitation or provocation of Islamist ire: “women are more religious than in previous generations, and also more modern.” That is, they wear the hijab, but also work, “often alongside men, once considered taboo. Sociologists and many working women say that by adopting religion and wearing the Islamic head covering called the hijab, women here have in effect freed themselves from moral judgments and restrictions imposed by men.” In a climate of decreased faith in government, expressed not only at the polls but in protests, riots and even bombings, some sociologists consider that “women may have emerged as Algeria's most potent force for social change, with their presence in the bureaucracy and on the street having a potentially moderating and modernizing influence on society.” As a professor of sociology at the University of Algiers put it: "Women, and the women's movement, could be leading us to modernity." ... 2007 (today), Americans mark Memorial Day. 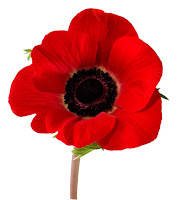 It seems women started the event in the course of the Civil War, and it was women, the American World War I volunteer Moina Michael and a Frenchwoman, Mme Guérin, who started the tradition of wearing poppies (in Europe and Canada this is done only on November 11, Armistice Day). Today, look for the somber listing of recent war dead in Garry Trudeau's Doonesbury (this week and next -- the list exceeds a single strip), and honor your loved ones. ... 1503 Pope Alexander VI issued a bull confirming, on the occasion of the marriage of King James IV and Margaret Tudor, a Treaty of Everlasting Peace between Scotland and England. It lasted 10 years. Sixeenth century pirate Grace O'Malley is riding a new wave of popularity. Blog reader Eugene J. Flynn asks whether the inspiration for this IntLawGrrl namesake was the song "Grace O'Malley" by Cathie Ryan and John Doyle, featured on Ryan's "Somewhere Along the Road" album? No, haven't heard Ryan's song, but will it track it down. As explained in an intro post, Emily Arnold McCully's children's book The Pirate Queen was the chief inspiration for choosing this "early, powerful nonstate actor." Another was a spectacular 2002 performance of "Grainne Mhaol" (a Gaelic version of Grace's name) by the spectacular Galway-based theatre troupe Macnas. Now Grace is back on stage, this time in a Broadway musical called, of course, "The Pirate Queen," mounted by the creators of "Les Misérables" and "Miss Saigon." Barbara Sjoholm, author of a travelogue entitled The Pirate Queen: In Search of Grace O'Malley and Other Legendary Women of the Sea, writes that the production is rich in Riverdancing and invented romance -- "and how cool is it to see a woman on stage with a saber in one hand and a baby in the other?" Thanks to my colleague Jack Ayer, the brains behind Underbelly blog, for the head's up on the new play. Indeed, Jack points to further proof of Grace's 21st C. revival: her own MySpace page. ... 1937 (70 years ago today), approximately 200,000 people walked across the brand-new Golden Gate Bridge. 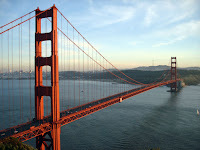 The 7-mile-suspension bridge, which is painted the signature color of "International orange" and connects California's San Francisco and Marin counties, was opened to motor vehicles for the 1st time the following day. ... 1615, Marguerite de Valois, whose stormy life as the French Queen Margot has been the stuff of fiction and film, died in Paris at the age of 62. 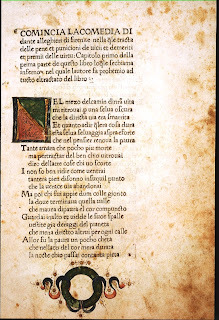 "'He read an old version' of the statement at the first meeting. ... 'That first one never happened.'" With these words, a U.N. spokesman erased from the official record -- and so from history's memory -- "a hard-hitting statement denouncing aerial bombardment in the troubled Darfur region in a clear critique of the Sudanese government," read at a session yesterday of the U.N. Security Council by Dr. Zalmay Khalilzad, the U.S. Permanent Representative to the United Nations. Turns out that Security Council members -- the P-5 of China, France, Russia, the United Kingdom, and the United States, plus the T-10 of Belgium, Congo, Ghana, Indonesia, Italy, Panama, Peru, Qatar, Slovakia, and South Africa -- had not agreed to hit Sudan so hard. The session thus was reconvened, and Khalilzad "read out a more anodyne statement that just urged all parties in Darfur, rebels included, to end violence." With that, Reuters reports, "U.N. officials agreed that in effect the earlier session had been superseded." Antarctica shall be used for peaceful purposes only. 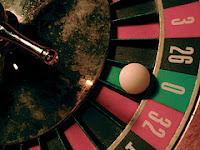 There shall be prohibited, inter alia, any measure of a military nature, such as the establishment of military bases and fortifications, the carrying out of military manoeuvres, as well as the testing of any type of weapon. ... 1994, the United States and Vietnam established diplomatic relations, nearly 2 decades after U.S. involvement in the Vietnam War had come to an end. [T]he dispossession of Aboriginals from their land '[w]as a conflagration of oppression and conflict which was, over the (19th) Century, to spread across the continent to dispossess, degrade and devastate the Aboriginal peoples and leave a national legacy of unutterable shame'[; this] represented 'the darkest aspect of the history of this nation'. There can, in our view, be little doubt that on a more directly personal level the policy of Colonial, and later State, administrations in Australia to systematically remove Aboriginal children from their parents and place them in institutions or other care and the consequences of that can be described in equally strong terms. I have always held the view that the best way to help the Indigenous people of this nation is to give them the greatest possible access to the bounty and good fortune of this nation and that cannot happen unless they are absorbed into our mainstream. We teach our children to say `Sorry' because it does not seem to come naturally to children. It is an adult undertaking to say `Sorry.' If the federal government, through our Prime Minister, can say `Sorry' on behalf of the Australian people, it will be a sign of our maturity. Saying `Sorry' is the place to begin the healing process, for from the expression of sorrow comes the possibility of forgiveness and, from forgiveness, reconciliation. The code was carved upon a black stone monument, eight feet high, and clearly inten ded to be read in public view. This noted stone was found in the year 1901, not in Babylon, but in a city of the Persian mountains, to which some later conqueror must have carried it in triumph. It begins and ends with addresses to the gods. Even a law code was in those days regarded as a subject for prayer, though the prayers here are chiefly cursings of whoever shall neglect or destroy the law. The code then regulates in clear and definite strokes the organization of society. The judge who blunders in a law case is to be expelled from his judgeship forever, and heavily fined. The witness who testifies falsely is to be slain. Indeed, all the heavier crimes are made punishable with death. Even if a man builds a house badly, and it falls and kills the owner, the builder is to be slain. If the owner's son was killed, then the builder's son is slain. We can see where the Hebrews learned their law of "an eye for an eye." These grim retaliatory punishments take no note of excuses or explanations, but only of the fact -- with one striking exception. An accused person was allowed to cast himself into "the river," the Euphrates. Apparently the art of swimming was unknown; for if the current bore him to the shore alive he was declared innocent, if he drowned he was guilty. So we learn that faith in the justice of the ruling gods was already firmly, though somewhat childishly, established in the minds of men. Yet even with this earliest set of laws, as with most things Babylonian, ... Hammurabi's code was not really the earliest. The preceding sets of laws have disappeared, but we have found several traces of them, and Hammurabi's own code clearly implies their existence. He is but reorganizing a legal system long established. The Code is our 5th nominee, following (1) the 13th Amendment to the U.S. Constitution, (2) the Constitution of the Republic of South Africa, (3) the Law Merchant, and (4) the Edicts of Aśoka. We look forward to hearing your nominee. Tell us, with a brief description of your reasons, by posting a comment or by e-mailing us at intlawgrrls@gmail.com. What city, divided by a river of the same name, was the imperial capital of Vietnam? If you got it right, you may be ready to go head to head against a genuine IntLawGirl: Caitlin Snaring, 14, of Redmond, Washington, newly crowned winner of the National Geographic Bee. Of being the Bee's 1st girl champion since before she was born, Caitlin said simply, "I don't know why more girls aren't interested in geography." Her other passion is Greek and Minoan pottery. An IntLawGrrl, indeed. ... 1993, the U.N. Security Council adopted the Statute of the International Criminal Tribunal for the former Yugoslavia, empowered to adjudicate charges of war crimes, crimes against humanity, and genocide arising out of the decade's war in the Balkans. Conflict persisted well after establishment of the ICTY; indeed, on the same day in 1995, the Bosnian Serb Army shelled the "safe area" of Tuzla, killing 71 Bosnians and injuring 150 more. ... 1963, a summit conference of 32 African leaders in Addis Ababa, Ethiopia, ended with the founding of the Organization of African Unity, whose Charter established a regional body pledged to work for betterment of African states and an end to white minority rule in any African state. Nearly 20 years later, in 2002, the OAU would be superseded by the African Union, a new regional organization. ... 1960, U.S. Sen. Amy Klobuchar (Dem./Farmer/Labor-Minn.) was born in Plymouth, Minnesota. Hué, situated in Thua Thien province at the midpoint of Vietnam. The Hué, or Perfume, River bisects the city, which is home to numerous UNESCO World Heritage sites, among them the Hué Monuments pictured at right. "The politics of fear" as practiced by states and armed nonstate actors "is fuelling a downward spiral of human rights abuse in which no right is sacrosant and no person safe," Irene Kahn (left), Secretary General of the 46-year-old, London-headquartered Amnesty International, declared in announcing the release yesterday of the organization's annual report. Country-by-country, the report documents abuses from Afghanistan to Zimbabwe, placing special emphasis on excesses of antiterrorism and repression of persons who use the internet as their medium for freedom of expression. Another NGO zeroed in on its keystone concern: "Justice with a price ta g is no justice at all," stated Huguette Labelle (right), chair of Transparency International, a 14-year-old group headquartered in Berlin. Her comments marked today's release of the 2007 Global Corruption Report. It traces the infiltration of bribery and political interference in all corners of the planet and at all points in the legal process -- from 1st encounters with police, to prosecutorial investigation, to adjudication itself. 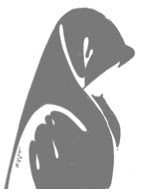 The report then sets forth ways to reduce corruption, among them greater transparency in selection and removal of court officials, stronger enforcement of anticorruption measures, unfettered media coverage of proceedings, and vigorous scrutiny by bar associations, private persons, and other sectors of civil society. Another entry for our "Name the World's 7 Legal Wonders" contest! Patrick gives examples of the Edicts (a stone pillar fragment, now at the British Museum, pictured at right): orders for "banyan trees and mango groves to be planted, resthouses to be built, and wells to be dug every half-mile along the roads"; "an end to the killing and consumption of most animals in the royal kitchens"; "provision of medical facilities for men and beasts"; "generosity toward priests and ascetics, and frugality in spending"; commissioning "officers to work for the welfare and happiness of the poor and aged"; declaration of "his intention constantly to promote the welfare of all beings so as to pay off his debt to living creatures and to work for their happiness in this world and the next"; and honoring "men of all faiths." He concludes that the Edicts of Aśoka (the emperor's pictured left) "were in stark contrast to the largely amoral maxims of power found in Kautilya’s Arthaśāstra (‘Science of Wealth,’ i.e., politics and economics), the latter’s reflections on power and conceptions of raison d’état not dissimilar to those of Machiavelli and Hobbes in Western political philosophy." Aśoka's Edicts constitute our 4th nominee -- joining (1) the 13th Amendment to the U.S. Constitution, (2) the Constitution of the Republic of South Africa, and (3) the Law Merchant -- and another entry will arrive tomorrow (stay tuned). What's your nominee? It can be a human artifact or a human being, a positive or a negative influence on the law. Tell us, with a brief description of your reasons, by posting a comment or by e-mailing us at intlawgrrls@gmail.com. ... 1981, the 1st International Women's Day for Disarmament was celebrated. It remains in effect today. The Women Peacemakers Program of the International Fellowship of Reconciliation will join with the United Network of Young Peacebuilders for "Girls Challenging Violence," a day of interactive theater, music, even a standup comedian, at The Hague, Netherlands. ... 1918, Canadian women secured the right to vote in federal elections. ... 1819, H.R.H. Princess Alexandrina Victoria of Kent was born to Prince Edward, Duke of Kent, and Princess Victoria Mary Louisa of Saxe-Coburg-Saalfeld, in Kensington Palace, London. Shortly after her 18th birthday she would become Queen Victoria (right), ruling England and its empire for nearly 64 years, the longest reign in British history. Every war challenges our understanding of the law, but this war has put law in its cross-hairs. Its rationale, its interrogations, its detentions, its re-shaping of the relative powers of our branches of government have profound consequences for our legal present and future. We no longer have the gifts of the young Andy Bacevich to help us recover from the errors of this war. But we do have you. You are his contemporaries – some of you will even be fellow military officers – and we need your insight and passion to move beyond this conflict. Hers was a message for all. A while back Nancy Ward wrote of her efforts to persuade California legislators to forbid sentencing of child offenders to life without parole. In California 227 youths are serving such sentences, 10% of the national juvenile LWOP population. 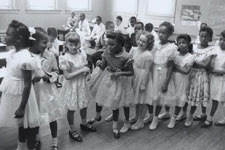 Human rights law is contra: the sentences are flatly prohibited by Article 37(a) of the Covenant on the Rights of the Child, to which virtually all countries belong except the United States, and are incompatible with the juvenile corrections provisions of Articles 10 and 14 of the International Covenant on Civil and Political Rights, to which the United States does belong. Yesterday the legislation, SB 999, was read on the floor of the Senate, where a 2/3 majority is needed. Organizers are urging all to lobby for an "aye" vote; details here. ... 1949, the Federal Republic of Germany was established, and its Parliamentary Council promulgated the Grundgesetz ("Basic Law"), which declares in Article 1: "Human dignity shall be inviolable. To respect and protect it shall be the duty of all state authority." Aspects of this Constitution were amended in 1990, when, following the collapse of the Berlin Wall the preceding year, the eastern part of the country, which had been part of the Soviet bloc since the end of World War II, reunited with its western half. ... 1960, Israel's Prime Minister David Ben-Gurion announced the capture of the mastermind of the deportation of 3 million Jews to concentration camps during the Nazi era, Adolf Eichmann. 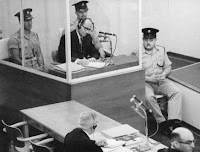 Eichmann had been seized in Argentina, where he was living under an assumed name. As depicted at left and reported in "Eichmann in Jerusalem: A Report on the Banality of Evil" by Hannah Arendt, Israel eventually put Eichmann on trial for crimes against the Jewish people; he was convicted and hanged. His kidnapping by Israeli agents prompted diplomatic protest from Argentina; the U.N. Security Council settled the dispute by resolution. A California-based member of Congress now is citing Eichmann to justify extraordinary renditions, the Bush Administration's post-September 11 policy of extralegal seizures of terrorism suspects. We have a "Legal Wonders" nominee! "My nomination is the Law Merchant for its contribution to the development of law, courts, equity, arbitration, and the speed with which disputes were administered. "The Law Merchant saw the widespread use of agency principles, executory contracts, oral contracts, and a PEACEFUL transnational enforcement regime." A worthy nominee, indeed, law merchant (also known as lex mercatoria). It joins 2 already-named candidates: (1) 13th Amendment to the U.S. Constitution; and (2) the Constitution of the Republic of South Africa. The Prosecutor sounded a cautionary note: new violence at the country's borders with Chad and Sudan may hamper investigation. In short, more than adjudicative intervention is needed to quell criminality in the region; whether more will come remains to be seen. ... 19 44, U.S. Rep. Jan Schakowsky (D-Ill.) was born in Chicago. ... 1957, U.S. Sen. Lisa Murkowski (R-Alaska) was born in Ketchikan, Alaska. ... 1969, U.S. Rep. Cathy McMorris Rodgers (R-Wash.) was born in Salem, Oregon. This has become the greatest propaganda tool that exists for recruiting of terrorists around the world. And it is unnecessary to be in that position. ... I think we should end up shutting it down, moving those prisoners. ... Those that we have reason to keep, keep. And those we don't, let go. Rather than keeping us more secure, keeping Guantanamo open is harming our national interests. It compromises our long term military and strategic interests, and it impairs our standing overseas. I have certainly concluded that we should address any security issues on what to do with the remaining detainees, and then close it once and for all. Dodd has sponsored the Restoring the Constitution Act 0f 2007, a bill that would not close Guantánamo, but would allow detainees to petition federal courts for writs of habeas corpus, and also would address some due process concerns related to the military commissions set to try some Gitmo detainees. On my first day in office, you have my word that Guantanamo will be closed. torture. It is unacceptable human behavior. You could close Guantanamo; that’s a good move — but until the United States ends the occupation (of Iraq), we will still have this war. IntLaw claims in state court? Check out the new ASIL Insight analyzing Jogi v. Voges, No. 01-1657 (7th Cir. Mar. 12, 2007), in which a U.S. federal court grapples once again with the ramifications of American officials' failure to comply with U.S. obligations, pursuant to Article 63 of the 1963 Vienna Convention on Consular Relations, to inform non-U.S. arrestees of their right to seek assistance from their consulate. Last Term a divided U.S. Supreme Court assumed in Sanchez-Llamas v. Oregon that defendants could invoke such a failure in their criminal cases, yet ruled that proof of failure would not warrant suppression of evidence gathered as a result of that failure. The Court will revisit the question next Term in Medellín v. Texas, in which the defendant's claim is bolstered by a 2004 judgment of the International Court of Justice. In Jogi the Seventh Circuit turned aside a claim that plaintiff's civil lawsuit could be based on the 1789 Alien Tort Statute, instead looking to ordinary federal question jurisdiction. plaintiffs may seek to file international law claims in state courts as claims for municipal torts—the very “torts” that the First Congress sought to bring within federal jurisdiction because of their potential implications for international affairs. ... 1944, Mary Robinson, the 1st woman to serve as President of Ireland and, thereafter, the United Nations' High Commissioner for Human Rights, was born in Ballina , County Mayo, Ireland. 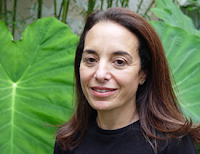 She now leads the New York-based NGO Realizing Rights: The Ethical Globalization Initiative. ... 1932 (75 years ago today), inclement weather forced Amelia Earhart, aviator, feminist, pacifist, and namesake of IntLawGrrl Elena Baylis, to end her solo flight across the Atlantic Ocean -- 1st ever by a woman -- in Gallagher's field, County Derry, Ireland (pictured). 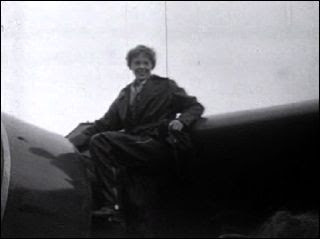 Earhart landed 5 years to the day that Charles Lindbergh had completed his own solo trans-Atlantic flight. The use of torture -- we could never gain as much we would gain from that torture as we lose in world opinion. We do not torture people. When I was in Vietnam, one of the things that sustained us, as we went -- underwent torture ourselves, is the knowledge that if we had our positions reversed and we were the captors, we would not impose that kind of treatment on them. It's about us as a nation. We have procedures for interrogation in the Army Field Manual. Those, I think, would be adequate in 999,999 of cases, and I think that if we agree to torture people, we will do ourselves great harm in the world. ... I would tell the people who had to do the interrogation to use every method they could think of. It shouldn't be torture, but every method they can think of -- ... well, I'd say every method they could think of, and I would support them in doing that because I've seen what -- I've seen what can happen when you make a mistake about this, and I don't want to see another 3,000 people dead in New York or any place else. I'm glad they're at Guantanamo. I don't want them on our soil. I want them on Guantanamo, where they don't get the access to lawyers they get when they're on our soil. I don't want them in our prisons. I want them there. Some people have said, we ought to close Guantanamo. My view is, we ought to double Guantanamo. We ought to make sure that the terrorists -- and there's no question but that in a setting like that where you have a ticking bomb that the president of the United States -- not the CIA interrogator, the president of the United States -- has to make the call. And enhanced interrogation techniques have to be used -- not torture but enhanced interrogation techniques, yes. Is your primary concern U.S. lives or is it how you're going to be perceived in the world? And my standard is U.S. lives, and I'm going to do everything within my power to protect U.S. lives, period. I will do it. I'll move aggressively forward on it. If we have to later ask and say, "Well, it shouldn't quite have been done this way or that way," that's the way it is. But the standard must be protection of U.S. lives. I would say to SECDEF, in terms of getting information that would save American lives, even if it involves very high-pressure techniques, one sentence: Get the information. Have it back within an hour, and let's act on it. Let's execute with Special Operations or whoever else is necessary, and I will take full responsibility. Get the information. enhanced interrogation technique. It sounds like Newspeak. Nobody's for the torture, and I think that's important. But as far as taking care of a problem like this, the president has the authority to do that. If we're under imminent attack, the president can take that upon himself to do it. Well, let me just say that it's almost unbelievable to listen to this in a way. We're talking about -- we're talking about it in such a theoretical fashion. You say that -- that nuclear devices have gone off in the United States, more are planned, and we're wondering about whether waterboarding would be a -- a bad thing to do? I'm looking for "Jack Bauer" at that time, let me tell you. ... I mean, we are the last best hope of Western civilization. And so all of the theories that go behind our activities subsequent to these nuclear attacks going off in the United States, they go out the window because when -- when we go under, Western civilization goes under. 'Nuff said for today. 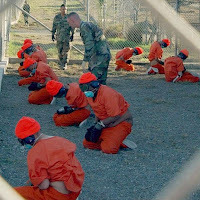 Gitmo on the Democratic campaign trail tomorrow. ... 1803, in what then was Lower Canada and now is Québec, Chief Justice William Osgoode ruled that "slavery was not compatible with British law," thus limiting slave trafficking in the province. ...1902 (105 years ago today), the Republic of Cuba was established, bringing an end to U.S. occupation that had persisted since the end of the Spanish-Ame rican War in 1898. ... 1989, in the face of pro-democracy demonstrations in Beijing's Tiananmen Square (right), Chinese leaders declared martial law. Protests would continue throughout the month. Asked to explain judicial receptivity to international law, Judge Guy Canivet (pictured, middle) of the Conseil constitutionnel spoke of values; that is, the role of the judge as the "bearer of the value of justice," of the "value of the democratic quality of the state." That's the difference between U.S. a nd French judges, interjected U.S. Supreme Court Judge Stephen Breyer (2d from left): the French "start with principles," while the Americans "start with concrete problems." "Yes, I worry about those things too," Breyer continued. "When? When I have a case that calls for it." So began this week's conversation between 2 countries' high court judges at Cardozo Law School in New York. Discussion touched on topics as varied as executive detention and the legal status of embryos, as AIDS and universal jurisdiction. Posing questions were Cardozo's Michel Rosenfeld (far right) and Mireille Delmas-Marty (far left), Professor of Comparative Legal Studies & the Internationalization of Law at Collège de France. The public session capped a 2-day private roundtable meeting of Delmas-Marty's brainchild -- Réseau ID, the Franco-American Network on the Internationalization of Law, which 1st met in Paris last year. Participants included a French ambassador and other French judges (from not only the Conseil constitutionnel but also the Conseil d'État); U.S. Court of Appeals Judge William A. Fletcher; former Solicitor General Charles Fried; Emmanuelle Jouannet, Vivian Grosswald Curran, George Bermann, Harold Hongju Koh, and Jonathan Wiener; IntLawGrrls Diane Marie Amann (aka Grace O'Malley), Hélène Ruiz Fabri (aka Olympe de Gouges), Naomi Norberg (aka Anna Koransky, 2d from right as translator extraordinaire for the public event). A 2008 meeting of the Réseau, in Paris, is contemplated. We'll always have New York. Check out Cymie R. Payne's ASIL Insight respecting the Massachusetts v. EPA decision on which we've posted here and here. Her focus is not the Supreme Court's administrative-law-based ruling that the Environmental Protection Agency must revisit its refusal to regulate greenhouse gases. Rather, she examines another legal theory, which the EPA invoked in vain in Massachusetts: "that somehow a regulatory action by an executive agency under a federal statute, with no direct link to security or international trade, might inhibit the President's prerogative to direct foreign policy." Given that like arguments have been made in other, pending litigation, Payne concludes that the roles of the branches of federal government, and of agencies of constituent states, are likely to evolve. ... 1921, as the Statue of Liberty neared its 35th birthday, Congress passed an Emergency Quota Act, putting a halt to the massive immigration of the previous century. 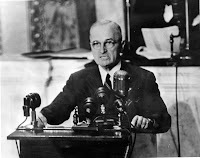 The Act and its successor, the Immigration Act of 1924, by limiting new arrivals to a small percentage of those of the same nationality already in the United States, nearly shut the door to immigrants from anywhere other than northern and western Europe. Today immigration remains a contested issue, as our colleagues at ImmigrationProf Blog have been detailing, a compromise bill announced Thursday already garnering is much criticism. ... 2002 (five years ago today), East Timor, which had been under the supervision of the United Nations since acquiring independence in 1999 from Indonesia, which had ruled it with an iron hand for the prior quarter-century. In an election last Sunday, the tiny country (fewer than 1 million people, occupying 1/2 of the island of Timor, itself about the size of Netherlands) put Nobel Peace Prizewinner José Ramos-Horta on track to become its new President. Read On! ... "The Story of Cruel & Unusual"
(Read On! ... occasional posts on writing we're reading) Much has been written about the post-9/11 memos in which American lawyers at the Departments of Justice and Defense deployed law-like arguments to justify coercive interrogation of persons seized in what those same lawyers call a Global War on Terror. (My 2¢ is here.) The memos, it is said, "tortured" law and logic. Double-edged invocation of a term whose Latin root torquēre means "to twist," whether the object of the action be a body of law or that of a human being, merits careful consideration for scholars like Colin Dayan (right), Robert Penn Warren Professor in the Humanities at Vanderbilt. But the focus of her newest book are 2 other words essential to those memos: Dayan's "The Story of Cruel & Unusual" argues that centuries of U.S. Supreme Court torturing (if I may) of these latter adjectives laid a legal foundation upon which lawyers could, with relative ease, construct what are now known as the "Torture Papers." After establishing a disturbing link between slavery and the Constitution's 8th Amendment, she stresses a memo that relied on interpretations of "cruel and unusual punishments" to excuse abuse absent evidence of "deliberate indifference" and "wantonness." Given the constraints of prison litigation, complainants seldom can prove that level of intent, Dayan points out. As a result, inhumanity occurred with impunity in prisons in America, Dayan states, and, in recent years, in America's offshore prisons as well. 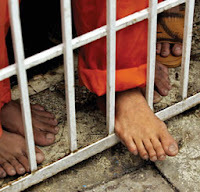 As Jeremy Waldron, who's also analyzed the memos, writes in the book's foreword, "Dayan comes perilously close to depriving us of ... meager crumbs of moral discomfort" in arguing that abuse at Abu Ghraib and Guantánamo was in no sense aberration but was, rather, "business as usual for Eighth Amendment jurisprudence." Take a look at the Convention on International Trade in Endangered Species of Wild Flora and Fauna, better known as CITES, which entered into force in 1975 and now has 171 states parties (including the United States). Have a read of "Restoring Endangered Species: The Importance of Being Wild" by our colleague Holly Doremus. Then ponder how to improve efforts to prevent habitat loss, trafficking, and other threats to our world's precious living resources. 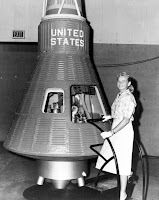 ... 1953, pilot Jackie Cochran, who'd organized the 1st U.S. women's military flight support unit during World War II, flew at a speed of 447.47 mph to become the 1st woman to break the sound barrier. "Ovaries. The world just wasn't ready at that time." Rather than substituting one propaganda for another, education about genocide and mass violence should help young people think critically and independently, . . . "to know the past as fact and to confront its implications in ways that make us all seek to change the future for better. If there are no simple answers to the hatred and violence from the past or in the present, there are the countering forces of intellectual honesty, integrity, justice and empathy." ...2005, U.S. Army Spc. Sabrina Harman, who appeared on some of the photographs taken of detainee abuse at Iraq's Abu Ghraib prison, was sentenced to 6 months in prison the day after a she was found guilty on 6 of 7 charges. She apologized at her sentencing hearing: "'My actions potentially caused an increased hatred and insurgency towards the United States, putting soldiers and civilians at greater risk. ... I take full responsibility for my actions.' 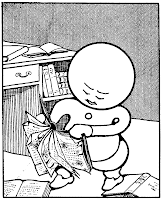 "
Read On! ... "What Terrorists Want"